Tokyo drift: Sphinx 08 features tinted grey or polarized grey lenses in a Tokyo tortoise acetate frame wrapped with polished gold metal. Polished gold side inlays complete this rich look. 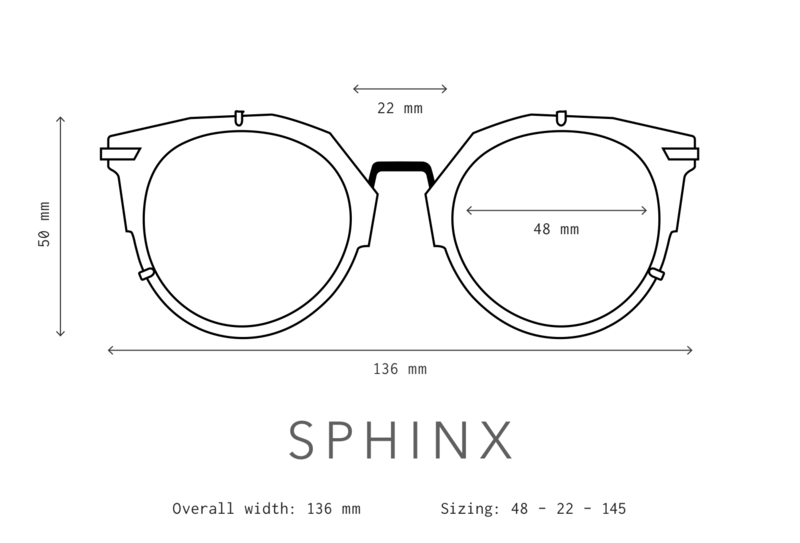 A unique cat: Sphinx is a bold, modern cat-eye with acetate wrapped in metal. This intricate frame is meticulously handmade in Japan and features high-quality shatterproof lenses with 100% UV protection. The Sphinx shape was designed to be flattering on all faces. Its super-durable construction and smooth, high-quality hinges ensure these will be your favorite shades for years to come. The sphinx is a mythological creature, benevolent but ferocious, with the body of a lion and head of a human. They were thought of as guardians, often flanking the entrances to temples, and are most widely recognized for their prominence in Egyptian culture. Our cat-eyed frame structure is inspired by the feline element of the Sphinx, and the unique metal and acetate combination is truly a human-made marvel that pays homage to one of Egypt's most ancient structures. All Westward Leaning sunglasses are designed to be flattering and comfortable on every face. Our handmade acetate frames are highly adjustable for the perfect fit, from very loose to very tight. Learn more about how to adjust the fit of your glasses here. Curious about relative sizing? Compare our frames here. Still not convinced? Rest assured, shipping and returns are always fast, free, and super easy.